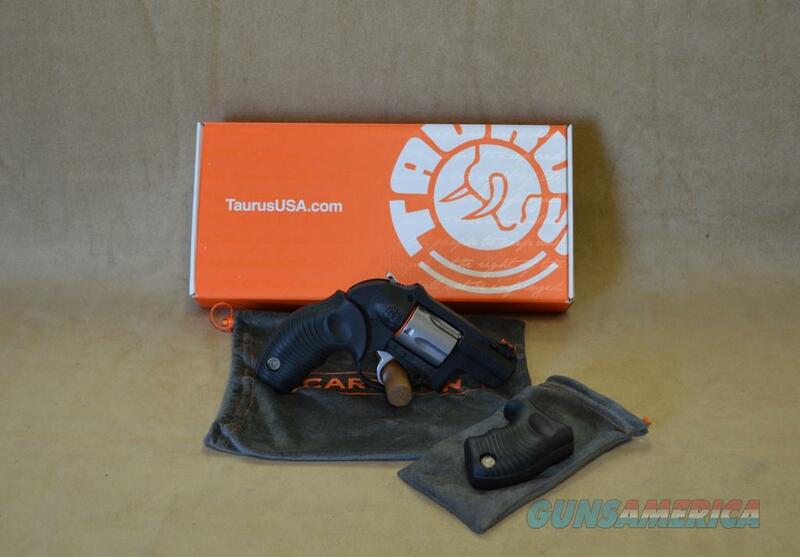 Description: Taurus 605 Poly Protector Revolver in 357 Mag Caliber. Factory New in Box. 2" blued barrel. 5 round cylinder. Single/double action. Spurred hammer. Black ribber grips. Fixed fiber optic front sight, fixed rear sight. 19.75 oz total weight.